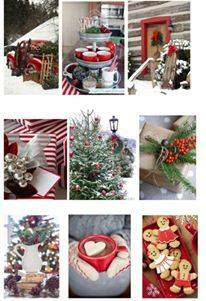 I hope everyone has had a wonderful Christmas! I am now looking forward to a new year and many new adventures to be had. I will also admit that I *might* not have gotten all of my holiday cards out in a timely fashion. However, that gives me the chance to share another one with all of you! Waddles the penguin is back for another visit! Do you remember my post from two weeks ago? That project was with the same digi stamp but an entirely different color scheme. It makes them look like totally different stamps! Anywho, I colored Waddles up using my Zig Clean Color markers. Isn't he so gosh darn cute?! I just want to pinch his sweet little cheeks! The red scalloped circle is the largest die from the Stitched in Circles set. I brushed my Versamark ink pad along the edges and then embossed it with copper embossing powder. The Green circle is the next size down die from the same set. The green paper and the patterned papers are both from the Here Comes Santa Claus paper pad. The patterned paper was cut out also using a die from the Stitched in Circles set. Again, I went around the edges with the Versamark pad and added copper embossing powder. I attached all three layers to the dark gray card base. The little white tag was cut out using the tag from the Pocket Pieces Hello die set. I went around the edges with a red copic marker just to make it stand out a little bit more. The Noel sentiment is embossed with the copper embossing powder and it comes from the Simply Christmas stamp set. 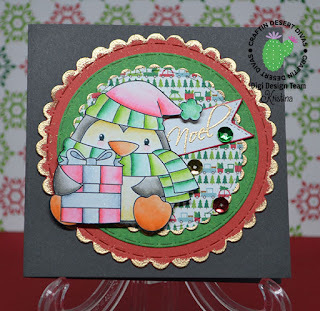 I sprinkled a few sequins from the Berry Christmas sequin mix and used foam tape to pop Waddles up for added dimension. He really is a versatile image! I can see using him for winter birthday cards just by using a different color scheme. 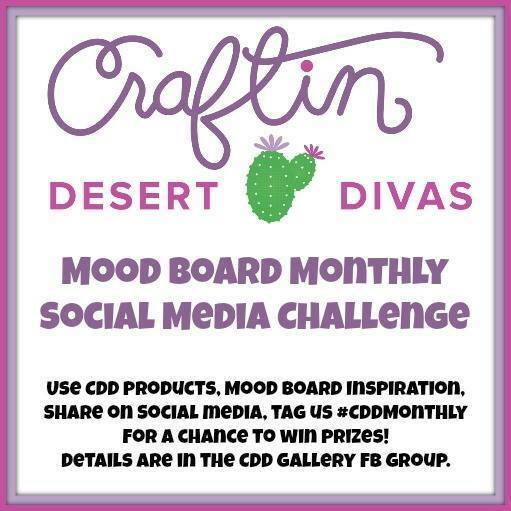 Don't forget that you have a few more days to participate in the CDD Monthly challenge! All of the DT members have been hard at work sharing lots and lots of inspiration. 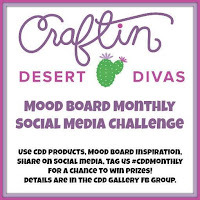 Just don't forget to use #cddmonthly!